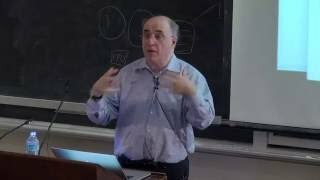 Stephen Wolfram (born 29 August 1959) is a British-American computer scientist, physicist, and businessman. He is known for his work in computer science, mathematics, and in theoretical physics. He is the author of the book A New Kind of Science. In 2012 he was named an inaugural fellow of the American Mathematical Society. As a businessman, he is the founder and CEO of the software company Wolfram Research where he worked as chief designer of Mathematica and the Wolfram Alpha answer engine. His recent work has been on knowledge-based programming, expanding and refining the programming language of Mathematica into what is now called the Wolfram Language. His book An Elementary Introduction to the Wolfram Language appeared in 2015 and Idea Makers appeared in 2016. 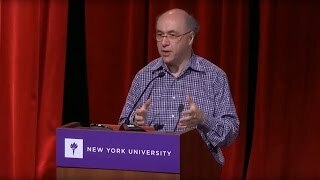 A discussion with Stephen Wolfram on the state of Artificial Intelligence and how we will use the technology to advance civilization. Q&A and panel session includes the following questions: When will AI reach human-level intelligence? What are the difficulties you foresee in developing a symbolic discourse language? 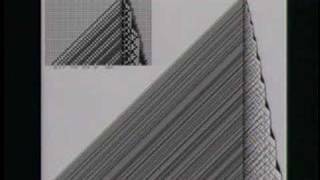 Do we live in a deterministic universe? Is our present reality a simulation? Does free will exist, and how does consciousness arise from computation? Can we separate rules and principles in a way that is computable for AI? How can AI navigate contradictions in human ethical systems? This event was part of It's All About Math, an ongoing series hosted by the Department of Mathematics at the University of Toronto on February 2, 2016 at the Bahen Centre for Information Technology.In 2014, as a culmination of more than 30 years of work, Wolfram began to roll out the Wolfram Language, which dramatically raises the level of automation and built-in knowledge available in a programming language, and makes possible a new generation of readily deployed computational applications.